When fronted by David Lee Roth, Van Halen scored its biggest hit ever with Jump. An absolutely infectious rocker from 1984, Jump topped the charts for four consecutive weeks and shot Roth to solo stardom as well. As soon as the song hit, Roth was off for a career of his own, but Jump remains his most popular vocal performance. Van Halen regrouped after Roth’s departure, replacing him with Sammy Hagar, and had a few more big hits, like Why Can’t This Be Love, but they never again reached the apex they hit with Jump. A really irresistible song, Jump still makes people hit the dance floor. 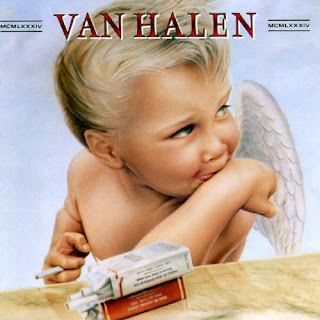 It recalls fond memories of the spring it became such a big hit and leaves fans yearning for a new Van Halen album. After all, Roth is once again its lead singer. Why waste such a combination? The video for Jump captured the essence of the song, and the band, perfectly. Nobody can sit still when this one plays. It’s just that good.